However, let's not jump to any conclusions just yet. Afterall, we still don't have all the information. This new company may choose to use the old voice actors, as the contracts expire for the eleventh season! If it isn't a New York-based studio, we really don't have much we can do about the voices, however. EDIT: Okay, this looks real enough. I'm happy and all, but I'm also quite...saddened. I was looking forward to using this forum...maybe we can keep our little community going, even with the old voice actors back? Perhaps a voice acting forum? What about other aspects of the Pokémon dub? Time cuts, music changes, and rewriting the scripts are a few of the problems we still have with the dub. Perhaps we can work on fixing these problems? Pokemon's always been dubbed in New York. And also, Pokemon USA's headquarters is there as well. So they would really have no reason to use a studio that's far away. I just couldn't see them doing that. Anyway, I really hope this means we'll get the original VAs back (or at the very least, they could bring back Veronica Taylor as Ash - if they can only use one member of the original cast, I mean). If they can use one, they can certainly use them all. However, will the new cast care enough to try and get parts on the new dub? It's all open now, the new studio can use either the old cast or the new cast. Maybe we'll get a mix, depending on who they think is best-suited? Sarah and the rest of the new cast are on contract; will these contracts be transferred, or will they do the opposite and prohibit them from working for the new studio? If they use a New York studio, I hope they use one WITHOUT proper resources; one without paint editing technology or music composers or any of that stuff. If they use a studio outside of New York, I'm all up for FUNimation or Viz, but my first choice would be a studio allowing Veronica Taylor and the rest of the old cast to work on Pokémon. Okay, I sent a message to Veronica Taylor last night. It's important that the voice artists we want on the show know about this as early as possible this time around. Hopefully this news will get around to the rest of the 4Kids cast! Just now, I sent a message to Larry Juris, asking for a confirmation. We still don't know if any of this is real, and he can hopefully confirm this, along with giving us any other info he may have. Yeah, I agree with you Shane. We must let the original VAs know about this news as soon as possible! Because this could be our BIG chance here! So far, two members of the original cast know about this news regarding TAJ (Maddie and now Veronica). Anway, Shane, I'm glad you sent an email to Larry. I think that if he tells you the same thing he told those other two people, then this will definitely mean that TAJ is no longer dubbing Pokemon. That will finally give us confirmation! User Title : Ash Freak! WPM emailed him, and he confirmed the news! This is awesome! Now we finally have an extremely huge chance to get the voice actors back! This may mean a better dubbing studio or even 4kids (which is a guarantee to get them back)! I personally hope 4kids will take over the show (since they took over Kids WB's lineup and I don't have cable). 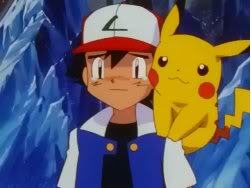 Just like 2 years ago, when I lost Meowth -- I have to find out all my news from Pokemon fans. Unforunately it is true. We are no longer doing Pokemon. We loved that show and were involved in it for many years. Please contact Pokemon directly for any information as to Pokemo episodes etc. Funny, I just got an e-mail from them today too asking them about the Tenth movie, I got the same reply. This is the best news of the day! I hope it is true and that the new place won't be so messed up about the old voice actors contracts. Let it be 4Kids! Send emails to PUSA asking what dubbing studio they are using now. I'll be sure to watch the next D/P! Well, maybe not the next one. But still, we have to make sure they aren't using someone outside NY. I could perform Meowth for anyone who wanted to hire me. And don't forget Corphish and Torkoal. Anyway, PUSA has offices in Seattle. They could use a dubbing studio up there too. But I doubt it. Pokemon's always been recorded in NY, at both 4Kids and TAJ. Hopefully the original cast gets contacted and I could finally watch D/P again. First, we need to find out the new studio. Then, we tell the original cast before it's too late. I just hope we get Eric back, too. Yes! That would be so awesome to hear you and the other original cast members in each of your roles again. Even though PUSA has offices outside of New York, there aren't too many dubbing studios there. The main ones are in New York, Texas, California and I forgot the fourth one. I don't think that neither one of those other three areas, even though I can't remember the fourth one at the moment, would appeal to PUSA because they probably want to keep the dubbing of Pokemon close by to them. Lisa made great points on why PUSA wouldn't give Pokemon to a studio outside of New York. PUSA will be the ones finding a new studio so we can't really find one ourselves. But we can tell the other original cast members about this and see what they want to say about it. I'm sure that Eric, just like all of the original voice actors, would love to come back if they had the opportunity to return to their roles. Since we're here in this form, I can say this without the fear of my words being taken the wrong way. Personally, I have no problem with PUSA choosing to have the dubbing studio to be 4Kids. I don't know what the odds of that are, but I wouldn't mind it one bit. I swear that I remember hearing that before the change happened PUSA was just handling Pokemon and the dubbing would still take place at 4Kids. After all of this, I'm still confused if that was true or not, but I remember reading that on a couple of forms. Anyway, 4Kids did their best work with Pokemon and I would be perfectly happy if PUSA decided to go that route. Of course, who knows what PUSA will decide on where the dubbing of Pokemon will take place. I really do hope with my heart of hearts that this turns out well. We all need to email PUSA about this NOW!!!!! I am not kidding around. If you truly want the old cast back, you will do this. Let them know that you want as many of the original cast back as possible, and that they would be able to come back since that contract that prevents them from working on the show ends come season 11, which is next season. Everybody, EMAIL THEM NOW!! AND GET EVERYONE YOU KNOW TO!! It's actually feedback@pokemon.com. Also, contact every 4Kids voice actor you can find, even Bella Hudson (Nurse Joy). E-Mail PUSA and the original cast before everything is in place and it's too late! well send them to both then! Handwritten letters would work well, too. That address is only responded to in the mailbag on pokemon.com, which isn't working right now. However, sending letters to them works fine. Do you guys think this has anything to do with PUSA's new president? Send emails to both addresses ASAP, find more if you can, and get letters ready. Lapras, do you think you can personally deliver some letters to PUSA for us? I really think it'd help out greatly. What we can do is all type up a letter, and Lapras can print them out individually and leave them there at PUSA's building. I agree. That sounds like a great idea. I recently heard that TAJ Studios, the studio that dubs the successful Pokemon television show, is no longer working on it. I believe that your company, Pokemon USA, is in the process of finding another studio to continue with Pokemon. With this in mind, there are countless fans, including myself, who would enjoy having the original voice actors, those being Veronica Taylor, Eric Stuart, Racheal Lillis and Maddie Blaustein, to return to their former roles on the show. If you allow them back onto the show, the ratings will increase by fans of the original voice who have stopped watching the show once they were replaced. Fans all across the country have grown up watching Pokemon and identifying the characters with the voices that these actors and actresses provided for them. When then were replaced, so many fans were disappointed and saddened over the event. The voice actors stated that they weren't given a chance to continue to work on Pokemon and this further increased the sadness of fans. These fans have joined together in order to give the original voice actors a chance to return to their roles ever since. In terms of their contracts, there wouldn't be a problem since it has been two years since the first change took place and the supposed clause in their contract expires after two years. While countless fans, like myself, would love the return of the original voice actors to their former roles, that does not mean that we do not want the new voice actors out of the show. We do not dislike the new voice actors. We just do not feel that their talents match with the characters, especially after how the original voice actors developed their characters over the course of eight years. We would honestly prefer it if both set of voice actors would be allowed to work on the show. The original voice actors could reprise their former roles, while the new voice actors could continue voicing new characters that appear during the course of the seasons. We hope that you will keep this in mind as your company begins to look for another company to continue dubbing Pokemon. Thank you for your consideration. We don not dislike the new voice actors. Subject: Re: TAJ....No longer dubbing Pokemon??!!! !